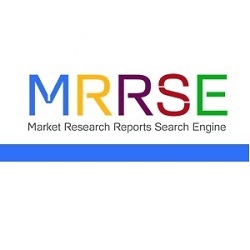 Albany, USA, 2019-Jan-17 — /EPR Network/ —This Market Research Reports Search Engine (MRRSE) report examines the ‘Global Triple-Negative Breast Cancer Treatment Market’ for the period 2018–2026. The primary objective of the report is to offer updates and information related to opportunities in the global triple-negative breast cancer treatment market. To arrive at the market size, bottom-up approach is used to validate the total market size obtained for the triple-negative breast cancer treatment market. The forecast presented in the report provides total revenue of the triple-negative breast cancer treatment market over 2018–2026. MRRSE has used a triangulation methodology that is primarily based on experimental techniques, such as patient-level data to obtain precise market estimations for triple-negative breast cancer treatment market and insights on specific country/regions. The country-specific data is again analyzed to derive data at a regional level and then at the global level. This methodology ensures high quality and accuracy of information. On the other hand, MRRSE has also analyzed the triple-negative breast cancer treatment market by considering the revenue from the key players operating in a segment. The key players are segmented at the tier level with respect to their revenue, product portfolio and geographical presence. This process involves analysis of various annual reports of companies, investor presentations, SEC filings, 10k reports, earning call transcripts and press releases. This task is done to fetch substantial information about the key players, their respective revenues and estimate their respective market share.